John Anderson is a commercial real estate attorney who represents Virginia businesses and individuals. He assists his clients with commercial real estate transactions (lender counsel, purchases, sales, leasing and development, as well as providing counsel regarding conservation easements and compliance with access provisions of the Americans with Disabilities Act), tax-deferred exchanges, and general corporate and business advice, including entity formation. John also has assisted several clients in navigating the complexities of creating conservation easements for their properties, guaranteeing that the properties remain open spaces in perpetuity. He has the insight and knowledge it takes to see both the business and legal issues involved in his clients' matters. John is active in the Richmond Bar Association, currently serving on the Board of Directors and was the Chair of the Bar's Long Range Planning Committee, which is charged with providing the framework for the 2016-2020 Strategic Plan for the Association. 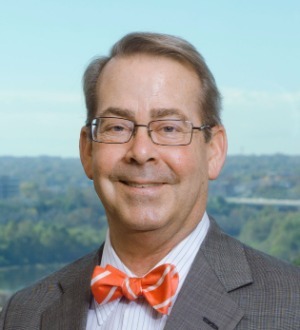 He has served on numerous Richmond Bar Association committees and is the past Chair of both the Real Estate and Business Law Sections, having served on the Executive Committees of both for several years.